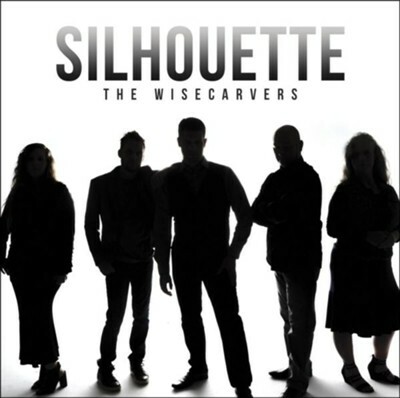 I first heard The Wisecarvers on the National Quartet Convention’s live feed in 2017, and I was immediately impressed. I didn’t realize until I started this review that they also write their songs which is a bonus in my book. The only song they didn’t write on this recording is the hymn Amazing Grace. Best of Forever “I’ll be with You for the best of forever because you saved me from the worst of forever.” It’s not because of anything that I have done but because of His mercy, He saved me. I am so thankful! When You Look at Me Am I the person God created me to be? Is He pleased with how I am living my life? Good questions to ask yourself. You Have My Attention I love this song. It starts by painting a picture of someone who is desperate to hear from the Lord and ends with God stopping and paying attention to the soul who is fervently seeking Him. Love You Still No matter what my future holds, God has been so good to me. He continues to be worthy of our love. Someone Else’s Valley When things are going well, it can be easy to forget others who are hurting. This song encourages us to not forget someone else’s valley. Potter’s Wheel is an encouraging song for those who are hurting. God will put the pieces back together. He loves you. Other songs included are Begin With You, Jesus to Me, Silhouette, Go Down Again, and Manufactured Smiles. In an era where some southern gospel artists are in a rut, songs sound the same, etc. the Talleys are still being creative with their arrangements while singing strong lyrics. I had a time of worship while writing this review. This is a CD I won’t get tired of for a while. Look Up is a song of encouragement to those who are weary and downtrodden. You won’t find hope on this earth but only by looking up. Lauren Talley sings Jeremiah 29:11 (You Have Plans). When things don’t make sense, you can still hold on to the truth that God has plans for you, and His plans are always good. Debra is featured on When the Answer is No. “Every storm you have to face will be covered by His grace. Mercy still flows when the answer is no.” Amen! A peppy song is next: Joy. No matter what you are going through, this song is bound to put a smile on your face. That’s What the Teacher Taught provokes a lot of thought. I think many overlook the things that Jesus taught, perhaps thinking he didn’t really mean what He said. He Restoreth My Soul is basically Psalm 23 set to music. Other songs include: Grab Your Umbrella, Death Was Arrested, Get Me There, Home at Last, and Begin Again God. Other songs include: He Saw Me; Another One Like Him; Yes He Did, Yes He Does, Yes He Will; More Than Enough; Sowing the Good Seed; Do What Jesus Did; Burdens Are Lifted at Calvary; and Where My Savior Is. Earlier this year, I reviewed my favorite CD for 2016. The latest CD from Tribute Quartet may not be my very favorite, but it’s definitely up there. Here For You is an uptempo song of encouragement. You can find love, grace, mercy, forgiveness, joy, faith, everything you need to make it through. All you need to do is join the family of God. Another encouraging toe-tapper is Never Forsaken. We all need reminders that this world is not our home, that these trials will not last forever, etc. Somebody Sing Me That Song. Riley Harrison Clark blows the roof off with When the Prodigal Comes Home. The tempo picks back up with Meeting in the Middle of the Air. I’m so thankful that I serve the God of the Storms. Everybody Come See Jesus is just a song about Jesus and how wonderful He is. Anthony Davis is featured on That’s How I Know. Grace at Its Best is still the cross. I love that! Jesus Saves is an old song written by Connie Hopper and Geron Davis. 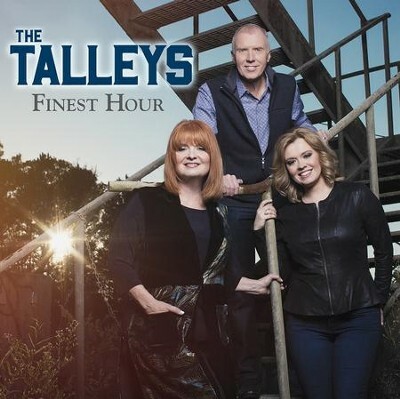 With this CD, the Talleys are celebrating 20 years of ministry as Roger, Debra, and Lauren. Their harmony and their lyrics are as strong as always. It’s fitting that the CD is titled After All This Time. Throughout the years, God has not stopped being faithful. There is Coming a Day talks about that day that we all wait for. Keep looking up. Our redemption draws nigh. There’s Never Been a Mountain is a song of encouragement, reminding us that God is still in control. Debra Talley sings What is This Thing Called Grace? Lauren sings lead on Jesus’ Blood is Enough. You don’t need anything else but Jesus. The tempo speeds up with My Hope is in the Lord. But I Need You More is a song of worship, telling the Lord how much we need Him. Nothing compares to him. The People in the Line is a reminder to not be so focused on ourselves that we fail to see the needs around us. Somebody’s Story is a song about being slow to judge because you don’t always know somebody’s story. Lauren is featured in the old song, Who But God. The CD ends with a medley of I Love to Tell the Story and Blessed Assurance. David Staton produced yet another great CD from Canaan’s Crossing. This group has a way of choosing fabulous songs with great bluegrass arrangements. Group member Josh Palmer wrote the lead-off song, Closer Than a Brother. The Savior is waiting to enter your heart so that He can be closer than a brother. That is so comforting to me lately, as it seems that, so many times, friends are hard to find. The Heavenly Father is always there, however, waiting to comfort as no one else can. The tempo picks up for He Holds Me in His Hand. River of Living Water tells about the living water that Christ offers, as opposed to the water that leaves you thirsty. The Words I Would Say: “Be strong in the Lord. Never give up hope. You’re gonna do great things. I already know God’s got His hand on you, so don’t live life in fear. Forgive and forget. Don’t forget why you’re here. Take your time and pray and thank God for each day.” Words of encouragement for those who are hurting. Aren’t you thankful for His Unchanging Hand? In a world that ever changes, I’m grateful that God never does. I don’t have to worry that He will love me one day and not love me the next. Hold Back the Sea starts out talking about how God delivered Israel from the Red Sea. Then it brings it around to personal application, how life can seem like a sea that’s about to drown us but God is still able to hold back that proverbial sea. Count It All Joy is a song of encouragement for those who are going through trials. Come Drink This Water is an invitation to accept Jesus into your life. 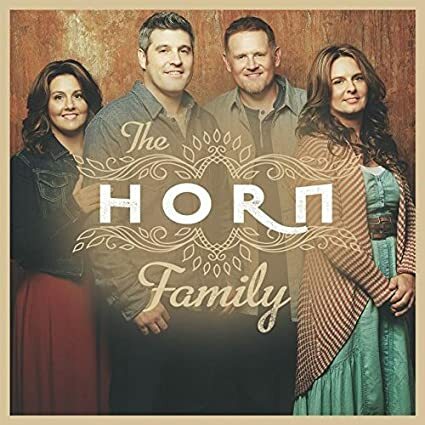 I first became aware of The Horn Family a year or so ago but I was instantly impressed. This CD is top notch both musically and vocally. A mixture of country, some soul, and a bit progressive, this group will still appeal to many Southern Gospel fans. I’ve Got It is a Pentecostal song about receiving the Holy Ghost. He Called Me Brother is pretty progressive music-wise. Jesus said that the one who does the Father’s will is His mother and brother and sister. How amazing is it that you and I can be Christ’s brother or sister! Mary Magdalene (Why You Crying) is my least favorite song on the project but this is my preference. It’s not my musical taste but it is a song of redemption. If you know the story of Mary Magdalene, you know that she was despised in most circles, yet Jesus loved her and revealed Himself first to her after He arose from the tomb. For the Life of Me is another slow, country-sounding song. “He gave His life for the life of me.” What a Savior! The CD ends with an a cappella version of the old song, Lights of Home. Other songs include Peace Everlasting, Love Like Rain, and It’s All in Jesus. I’ve heard the name Donna King for years but this is the first I have really heard her, and I must say I am impressed. This CD has a nice mix of new songs and old carols. She sings each song with feeling that matches the lyrics. I grew up listening to Barbara Streisand’s Christmas record, and this reminds me of that somewhat. The CD begins with a hyped, soulful arrangement of Joy to the World. The tempo slows way down for Little Altar Boy, a song about someone who is gone astray and is asking for prayer. “So that earth could go to Heaven, Heaven Came to Earth.” A great way to say it. Give Me This Night is a song from Mary’s perspective as she looked at her newborn child who would way too quickly become a man. Donna put some jazz into My Favorite Things. Zane and Donna wrote the title Song of Noel. Everyone knows the classic Silent Night. Christmas Instead talks about the things that crowd our minds and stress us out, causing some to lose sight of the real meaning of Christmas. Donna’s vocal talents really show on Ave Maria and O Holy Night. The only thing that kept this from getting five stars was feeling like she went a bit overboard on showing off her vocals on this last song but, overall, this is a good CD and one I will probably listen to for many Christmases to come. Almost a year and a half ago, I was contacted by Bill Pitts of Cross Pointe, asking if I would be willing to listen to their latest CD and give my honest opinion. As you can see, it has taken me a long time to get around to writing the review; however, this does not mean that I did not like the CD. I was pleasantly surprised how much I enjoyed it upon my first listen whereas it usually takes me a while to make an assessment. Maybe it’s due to the fact that this recording was produced by John Darin Rowsey but I still have flashbacks of New Journey when I listen to some of the songs on here. Walk on the Water has a standard Southern Gospel feel but is my least favorite song on the CD. A basic message and too typical. Changed is a descriptive experience of a person who was baptized and completely changed from the life they had lived. A mid-tempo song with great harmony and a great message. It is also well written. All My Tears reminds me of a song the Forester Sisters would sing. It has a folksy feel to it. Kenna West and John Darin Rowsey wrote the toe-tapping Time After Time. Only Jesus is a beautiful song also written by Mr. Rowsey and Sue C. Smith. I’m Still Standing was written by group member Bill Pitts. It talks about standing firm in spite of what life throws your way. With Jesus, you can stand! I like their arrangement of Wayfaring Stranger. It starts out slow with just piano. Then picks up the tempo slightly but still keeps a pace which makes it easy to follow the story. Two Coats is an old song but it’s been a long time since I’ve heard anyone sing it. They sing the first verse and chorus very slow then increase the tempo to a toe-tapping one. Great arrangement. I love the arrangement and harmony on It Changes Everything. “It changes everything to know You love me. And it makes me smile to think about Your grace. And then when I remember how You walked this road before me, that changes everything.” Amen! Their version of I Wouldn’t Take Nothing for My Journey Now is a bit progressive but they did a good job. Speak to Me is a song of prayer that God would speak and give me ears to hear. Power in the Name of Jesus is one song specifically that reminds me of New Journey. Another song with great harmony and a great message. There really is power in the Name of Jesus regardless of what you’re facing. Lately, I have been listening to the latest CD from Karen Peck and New River, and it has been ministering to me more than any other. Nice arrangements and thoughtful lyrics make this a CD I’ve not gotten tired of yet although it came out last year. Revival describes what many think of when revival is mentioned. “Red back hymnals, folding chairs, canvas tent in the open air,” etc. Oh Hallelujah is a song of praise to our Savior. We have so much to praise Him for. Finish Well is one of four songs on this recording co-written by Karen Peck Gooch. A very powerful song reminding us to finish well until the Savior finally calls us Home. It often brings me to tears, as this is the cry of my heart. I really want to Finish Well! “If Everybody’s Going Through Something, I’d rather go through something with Him.” There is tremendous truth in that statement. Life is not easy. Jesus promised us that. At the same time, He told us He would never leave us or forsake us. Because of that, we can let Him handle the storms of life that come our way. Joseph Habedank, Sue C. Smith, and Tony Wood wrote the uptempo Dancing Like Lazarus. When you meet Jesus, you will never be the same. You’ll be dancing like Lazarus when the grave clothes fell away. Jesus, Remember Me is a prayer for Jesus to remember me in everything I do. “I’ve Been Broken but I’ve been blessed.” How many of us can relate to that? It takes maturity to understand that God uses both brokenness and blessing in our lives, often at the same time. Joy in My Heart is a song that was actually written in 1991 and recorded previously by the Hoppers and I’m sure other groups as well. I still love the song though. An uptempo song of … well … joy. Jeff Hawes sings You Did It Anyway. Knowing the pain and heartache He would face on the cross and afterward, as people would continue to curse Him and mock His name, Jesus still chose death on the cross.